I'm going to be posting videos on a regular basis. Even though it took me 10 takes - can you have stage fright when you're the only one in a room?! I'd love to know what you think! Say hi in the blog comments below. P.S. Why did YouTube have to pick this horrendous thumbnail image of me! Lol - thanks for watching! The only thing I like better than creating earrings is wearing them! What better way to dress up a simple outfit, or express your everyday style then adding a great pair of earrings? All my earring designs are handmade from scratch. What does that mean? I hand form each earring wire, hammer the curve for strength and durability, create its mate and let my collection of beads inspire the design! Each pair is a one of a kind creation, handmade with love. The "Montego Bay" earrings were inspired by a friend's trip to Jamaica, where she's currently experiencing every great beach the country has to offer. I also hand formed and soldered the sterling silver hoops seen in this pair. The "Bamboo Grove" earrings are natural simplicity on these hand formed tension earring wires. I love the comfort of these unique earring wires, which are secure on your ear lobe - great for a woman on the go. The "Honolulu Hippie" earrings are light wooden beads attached to the earring wires with a gentle briolette style wrap. Get ready for a summer BBQ wearing this fun pair! I've listed over 40 new pairs of earrings over the past couple weeks. I've also revamped my packaging which is good news for you because I now offer FREE shipping. If you're shopping for a summer birthday, a hostess gift, or just to treat yourself I'd be so appreciative if you'd choose to give an eco-fashion gift handmade by a Canadian designer. Did you like this post? Comment below! I visited the Sunshine Coast last week and the experience was a breath of fresh air. It was so neat to go to a community where being an artist is the norm; where the work of the local artists is revered. In Roberts Creek, every path was one of discovery among the dense forest. 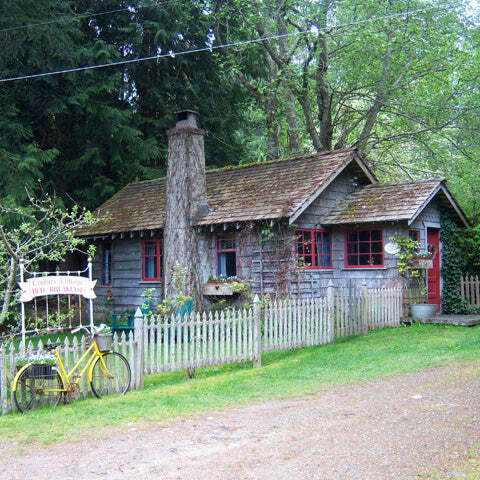 Moss covered cottages were dripping with inspiration, and quiet forests whispered to my soul. Then on to Gibsons, where every corner uncovered a spontaneous work of art that weaved a history about this artistic community. 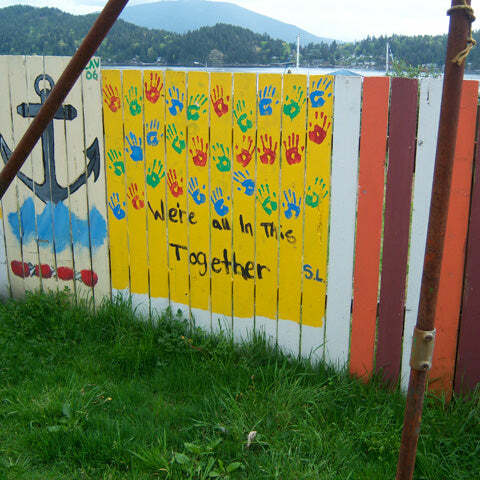 I just loved this fence mural. We're all in this together. Yes, we are. This trip was about finding new inspiration, but also about grounding me for the hard work that starts now. 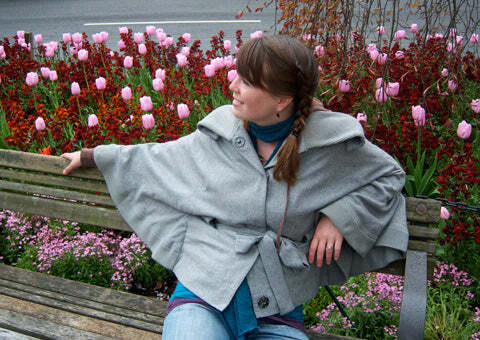 I was able to use the time to fine tune my business plan for ecocessories and establish the next steps. I'm back in the studio and creating more than I ever have before - 21 pairs of earrings were created yesterday alone! The production cycle will continue today, and I'll hope for some rays of sunshine tomorrow so I can photograph the new designs in natural light, and list them in the shop. And yet I was still. And I rejoiced in being what I was."